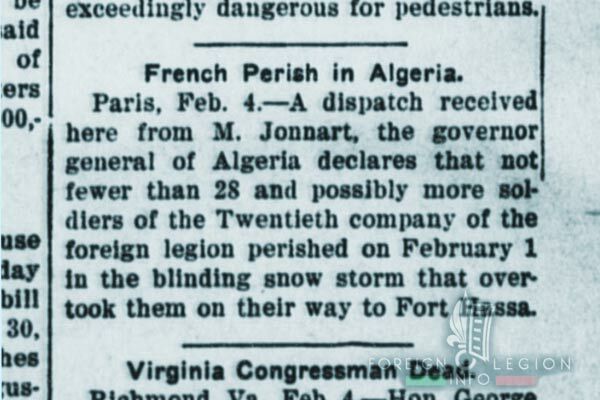 March or Die… In early February 1908, an unexpected severe snowstorm surprised a company of the Foreign Legion during their march to a remote military post on the Algeria-Morocco border. Cut from the help in a semi-desert land, tens of legionnaires died. Though unknown these days, this disaster has remained one of the most tragic events for the Legion. This article was written to remember the brave men. In January 1908, France had already been involved in the Pacification of Morocco (1907-34) for several weeks. One of the two fronts in Morocco was the Algeria-Morocco border. To secure the border and to operate against local rebel tribes, French troops, including legionnaires, were being deployed to the region. That also was the case of the 20th Company, 5th Battalion, 1st Foreign Regiment (1er RE). 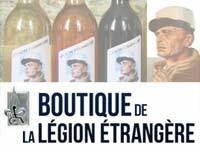 At that time, the company was stationed at Berguent (Ain Bni Mathar now), a military post built in 1904. The post was situated in then Algeria. Today, after the future border modification, it is located within today’s northeastern Morocco, about 22 miles (36 km) west of the current Algerian border. Led by Captain Capillery, the unit maintained order there. 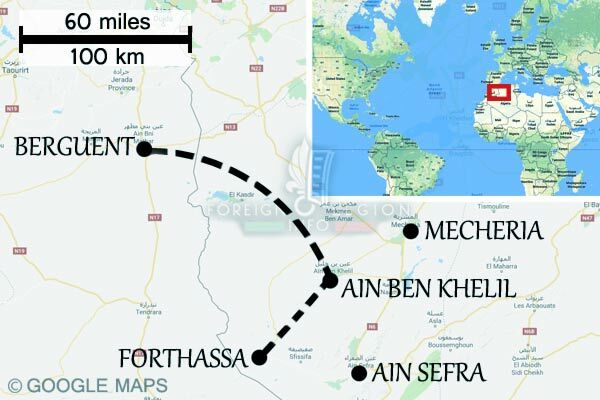 In mid-January, the captain received an order to return back to Algeria, to Ain Sefra, some 155 miles (250 km) distant. The town has been located less than 50 miles (75 km) to the Moroccan border and was nicknamed as “The Gateway to the Desert”, the famous Sahara. Then Ain Sefra served as a French main garrison town in the region, with large, modern barracks nearby (built with the important help of legionnaires). Nevertheless, on January 23, the day before the planned departure, the order was changed. A new objective – Forthassa Gharbia. Forthassa Gharbia is a small, remote village that lies some 30 miles (50 km) west of Ain Sefra, and about 15 miles east of the current border with Morocco. It is located in the semi-desert region, on the edge of the High Plateaus (Hauts Plateaux), which are roughly between 3,900 and 4,250 feet (1,200 and 1,300 metres) in elevation. At that time, Forthassa Gharbia was known as a waterhole for French troops. In March 1904, legionnaires from the 2nd Mounted Company, 1er RE started to build a military post there. Finished in 1905, the remote post would be useful for controlling the Beni Guil, a Moroccan rebel tribe from the High Plateaus. The departure to Forthassa Gharbia took place on January 25, 1908. The 20th Company and its vehicles with supplies and baggage, pulled by eight Arabian horses, left Berguent. Only a small detachment composed of an officer + an NCO + a corporal + several legionnaires would remain there. 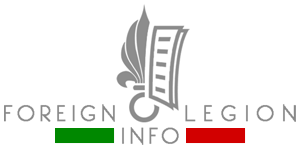 First, the company was headed to Ain Ben Khelil, an Algerian settlement in the direction of Ain Sefra. However it wasn’t a straight way to Forthassa, Ain Ben Khelil was chosen because of a better road for company’s vehicles. Arriving in Ain Ben Khelil six days later, in the afternoon of January 30, the company had covered about 100 miles (160 km). At that time, the military post of Ain Ben Khelil was occupied by Lieutenant Leclerc and his small detachment (11 men) of the 1st African Battalion (nicknamed Bat’ d’Af’ and composed of French soldiers liberated from military prisons; these battalions served as semi-penal units in the most inhospitable places, very often alongside the legionnaires). The same day, a column of camels also arrived in Ain Ben Khelil. They were sent to the post from Mecheria, another important town in the region, to replace the company’s eight horses, to provide supplies to legionnaires and to accompany them on their road to Forthassa. The 31st of January was day-off. The weather was cold, but nice. However, in the evening, the sky clouded over and a chilly wind started to blow. Some 46 miles (74 km) to reach Forthassa Gharbia remained. Berguent. A waterhole occupied in 1904 by a Legion mounted company (Captain Met). A few weeks before occupying Berguent, the same company had occupied Forthassa Gharbia. General Lyautey considered these two places as important points to secure western parts of Algeria and ordered to build military posts there in 1904. 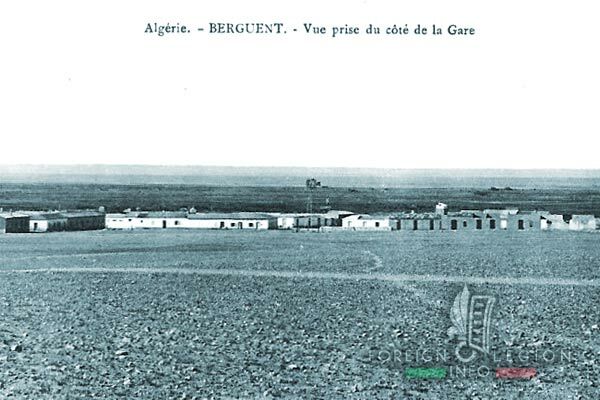 Note that even in 1908, Berguent was still claimed as part of Algeria. Since 1845, the border hadn’t been clearly defined. Later, in 1912, the border was moved and the place ended up in Morocco. In 1943, during WWII, an important U.S. airfield was based there. The planned road from Berguent to Forthassa Gharbia for the 20th Company, 1st Foreign Regiment in January 1908. 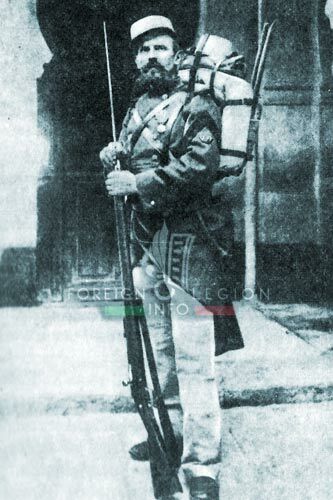 A legionnaire of the 1st Foreign Regiment in the 1900’s. February 1, 1908, in the morning, the company was ready to set out to Forthassa. Two officers, Captain Capillery and Lieutenant Paul d’Arboussier, five NCOs (including Adjudant Cazals, Sergent-major Ollivier, Sergeant Isard, Sergeant Deiss), 11 corporals and 131 soldiers – which means 147 legionnaires together. The sky was overclouded and the chilly wind was strong. The weather didn’t look good. But even Lieutenant Leclerc was ready to leave the post that day. He had to travel to Mecheria, to earn monthly pay for his men. And he would know well the local weather conditions. At 7.30 a.m. (7h30), the vast majority of the company left the outpost of Ain Ben Khelil. Three quartres of an hour later, at 8.15 a.m. (8h15), the remaining elements of the company took to the road. They comprised a sergeant, two corporals and 18 legionnaires. This group was in charge of the camels bearing the supplies and baggage. After several hours of marching, the sergeant stopped the column. Having seen the coming bad weather, he returned his men and camels, and led them safely back to the post of Ain Ben Khelil. At 12.30 p.m. (12h30), the company arrived at Hassi-Sfeia, a waterhole and an orientation point on the road between Ain Ben Khelil and Forthassa Gharbia, to take a planned break there. Hassi-Sfeia is some 15 miles (24 km) distant from Ain Ben Khelil. At the time, the men could feel the temperature quickly getting much colder. The chilly wind became more stronger, accompanied with snowflakes. About 30 miles (50 km) to reach Forthassa Gharbia still remained. The weather wasn’t good. Hassi-Sfeia was the last location where one could take refuge and prepare for the coming troubles. Although the legionnaires were well-trained, experienced soldiers, they didn’t have sufficient winter equipment. And there were still at least ten hours of another painful march in the semi-desert region to reach their objective. Nevertheless, according to Kepi blanc, Captain Capillery ordered not to take a break at Hassi-Sfeia and to keep marching. The company would add additional 10 miles (16 km) before stopping. The pretty cold wind had already turned into a fast-moving blizzard. The disaster started. Battered by the fierce snowstorm, the exhausted legionnaires were trying to set up their tents and make a fire for more than 40 minutes, but without result. Having witnessed the unsuccessful attempts, Captain Capillery ordered to march again. Forthassa was still about 18 miles (30 km) distant. The situation became serious. It was getting dark. Because of the snowstorm and the coming night, the marching men were unable to see more than a few yards straight ahead. The company started to be disorganized and split up. 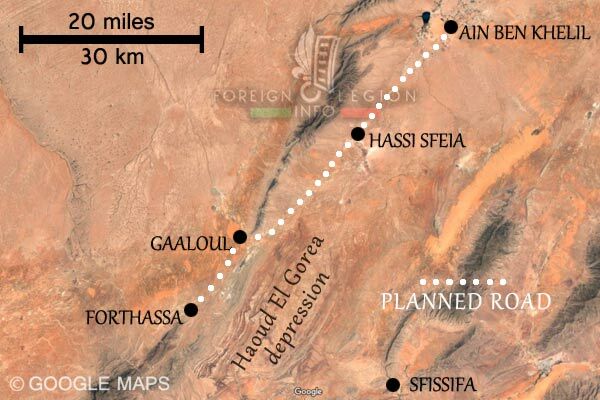 According to the article in Le Petit Journal, a group of legionnaires (at least 25 men – notice by FFL Info) decided to march through a depression called Haoud El Gorea (15 miles long and 6 miles wide), likely to reach a road connecting Forthassa and Sfissifa, a settlement located south-east of their final destination. In the meantime, Captain Capillery, Adjudant Cazals and some 50 men continued to Forthassa, through a pass next to Djebel Gaaloul (a mountain). The heavily exhausted men had to march another 8 miles (13 km) in the blinding severe blizzard before taking shelter at Gaaloul, a native hamlet of the Akerma tribe. They would spend the night there. As for the rest of company (over 40 men), we haven’t any available information. We know neither who was (were) their leader(s), nor if these men were either a part of the first group marching through a depression or if they had formed another column (or split up into smaller groups). At 4.00 a.m. (4h00) in the morning, on February 2, the damaging snowstorm calmed down. The planned road from Ain Ben Khelil to Forthassa Gharbia for the 20th Company, 1st Foreign Regiment. 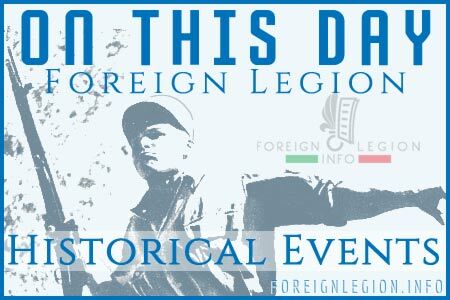 At 1.00 p.m. (13h00) in the afternoon of February 2, the first legionnaire of the 20th Company reached the military post of Forthassa Gharbia and informed the garrison about the disaster. He was the ordonnance (a servant) of Captain Capillery. The second man of the company to reach the post was Lieutenant d’Arboussier. According to Le Petit Journal, he was “in a miserable condition”, riding the horse of his captain. Any facts about the story of the poor lieutenant weren’t provided neither by the Legion, nor by the French newspaper. A rescue operation was immediatelly launched by troops occupying the post – Captain Moullet with his company of the African Battalion and the Moghazeni (pro-French Moroccan cavalry auxiliaries). Meanwhile, groups of exhausted, frostbitten legionnaires were arriving at the post of Forthassa. At 4.30 p.m. (16h30), a rescue patrol from Forthassa came at Gaaloul with food and medication, to meet Captain Capillery and his group. 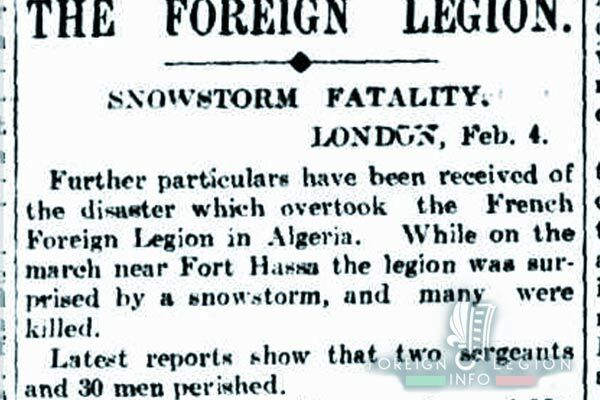 According to then French newspapers, 21 men were found dead by patrols during the February 2nd. In his telegram sent to the Legion’s HQ in Sidi Bel Abbes on February 3, Captain Capillery reported 28 men being found dead, including Sergeant Isard and Sergeant Deiss, Corporal Gretill, Corporal Barre, Corporal Gafaioli. The majority of the victims belonged to the group having decided to march through the depression. Most of the discovered dead bodies “…were black and seemed to be like carbonized”, hidden by a thick blanket of snow. Obviously, the snowstorm was extremely devastating. Six men were found alive near Djebel Araouia, on the road connecting Forthassa and Sfissifa. All of them with frozen extremity. As a result of the tragic march, most of the survivors suffered frostbite which caused gangrene. Due to the development of gangrene, many men had to be amputated and discharged from the Legion. Between the 22 discharged men of the company, Lieutenant Paul d’Arboussier. He had never fully recovered and died of his injuries 9 years later, in 1917, in his 38. A week after the disaster, well-known General Hubert Lyautey (then Military Governor of French Morocco) told the media that 37 legionnaires died, while another two men were missed. According to Kepi blanc, 38 legionnaires of the company were finally pronounced dead in February 1908. One legionnaire has never been found. On February 7, the victims of the disaster were buried at Forthassa. Adjudant Bernard-Jean Cazals, the highest-ranking NCO within the company, was nominated for an officer rank of Second Lieutenant in September 1908, because of his “excellent behavior” during the catastrophe (Journal militaire, 1908, p. 1043). In April 1909, a monument was unveiled at Forthassa Gharbia, to commemorate the tragedy and to honor the 38 legionnaires who perished during the severe snowstorm. Over twelve hours, these men had to resist the uncommon calamity in a semi-desert land, without the sufficient equipment. The company lost 61 men. 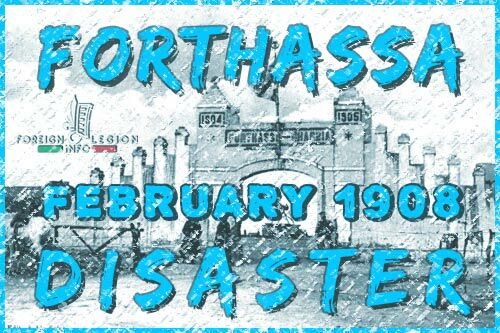 Even if it has been all but forgotten, this disaster has remained one of the most tragic events for the Legion. These brave legionnaires should be remembered. They were defeated on the edge of the Sahara by an unexpected enemy, the extremely violent blizzard. May they rest in peace. 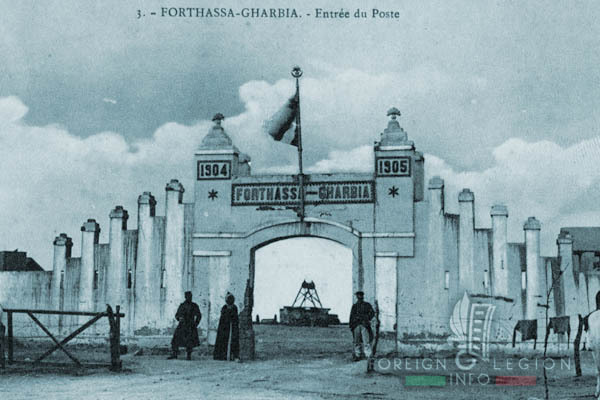 The entrance to the military post of Forthassa Gharbia, around 1908. 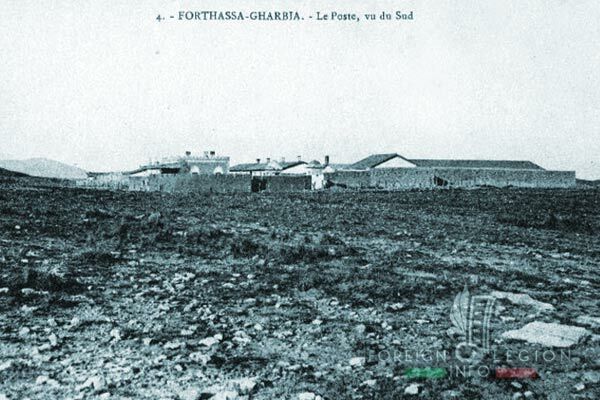 The military post of Forthassa Gharbia seen from the south, around 1908. A U.S. article from February 6, informing about the disaster near Forthassa Gharbia. An Australian article from February 6, informing about the disaster. 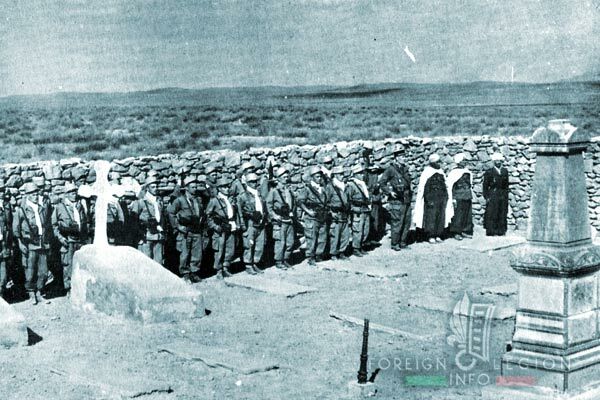 Legionnaires of the 4e CSPL during a ceremony at Forthassa Gharbia, paying homage to the victims of the 1908 disaster (February 1956). 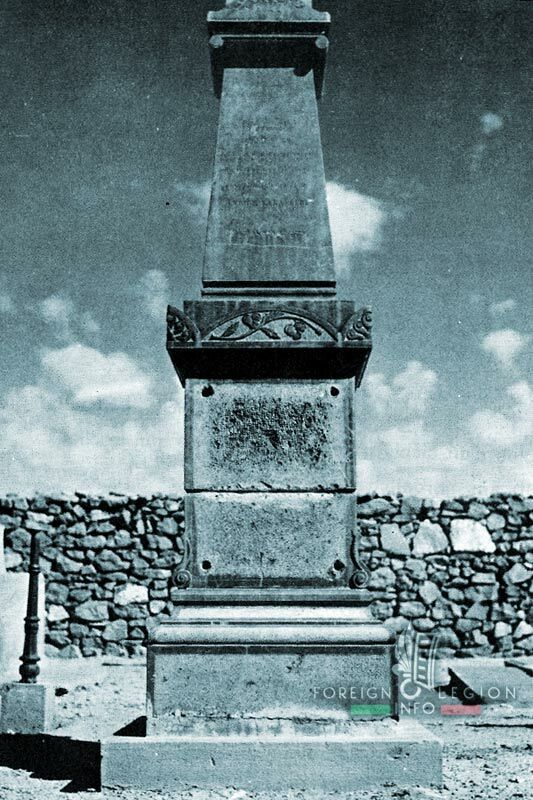 The monument unveiled at Forthassa Gharbia to commemorate the tragedy and to honor the 38 legionnaires who perished during the severe snowstorm (photo taken in 1956).